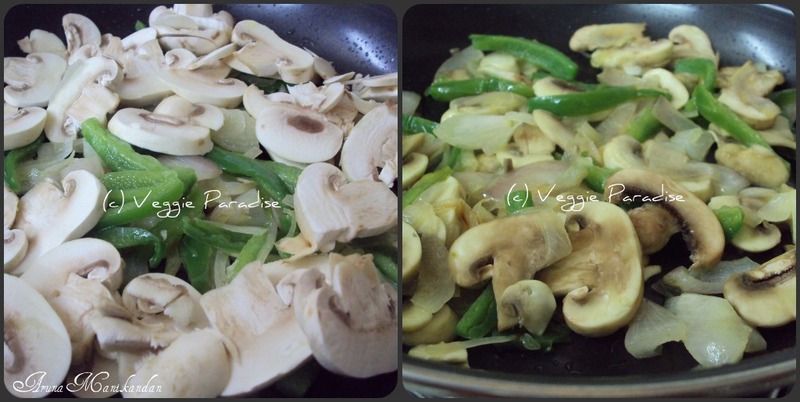 Wash and chop the mushrooms, onion and capsicum. 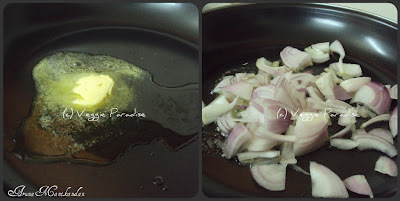 Heat butter / Olive oil in a pan. (I used both).Add the chopped onions , fry them until they turn translucent. Add the mushrooms and capsicum, saute it well. 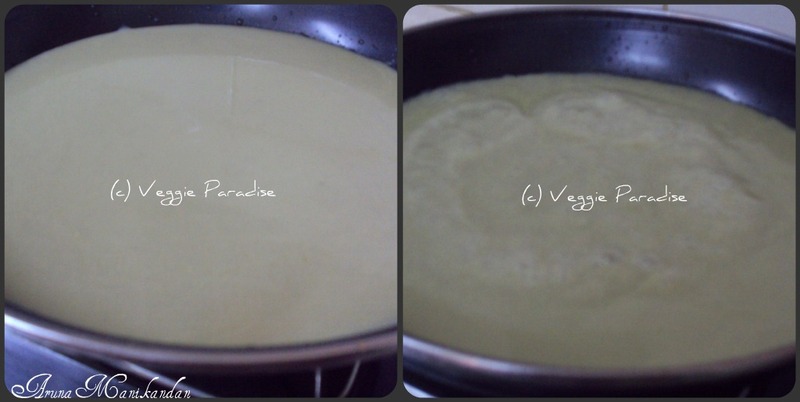 Add 2 cups of water, close the pan and allow it to cook. 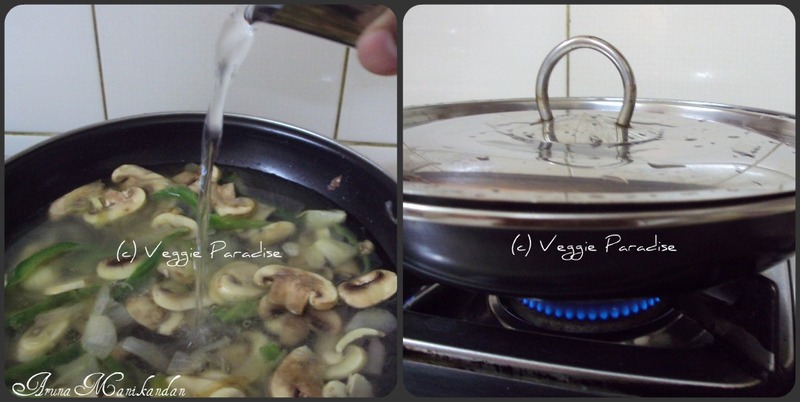 When the mushrooms get cooked , turn off the flame and allow it to cool. Strain the water,grind them in the blender and filter it(by using the same water we have strained). Add this filtered puree in the pan,along with salt and stir it gently.When it starts to boil, turn off the flame. 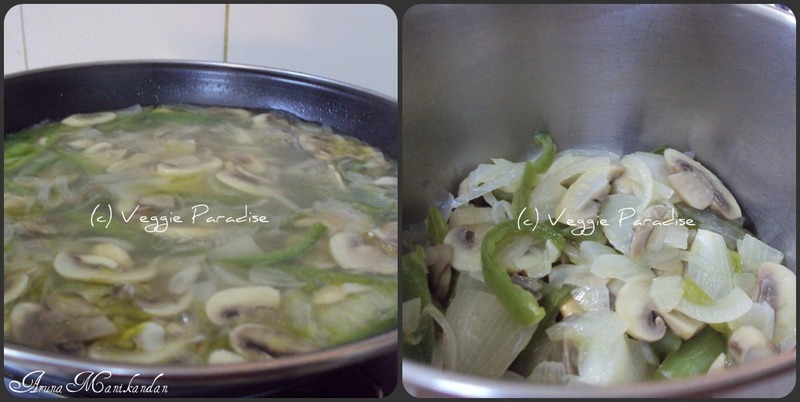 You can chop two mushrooms finely , saute them in butter and finally add them in soup while serving. If you want you can also add a cup of milk at the final stage and also you can serve with grated cheese for children. Soup looks sooo delicious and tempting.. Delicious soup looks so tempting in that beautiful soup bowl. Very rich n creamy soup! Wow! 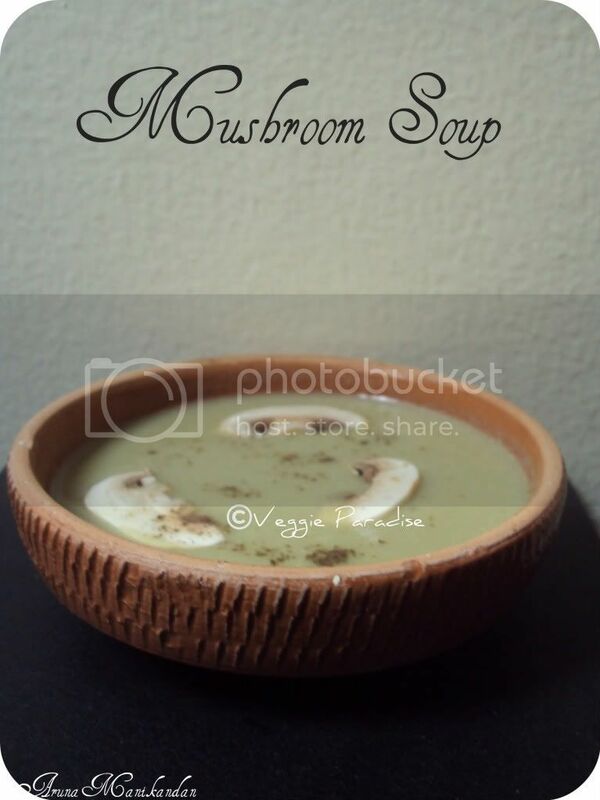 wow...the soup looks lovely, i love mushrooms in all forms. so would just love to try this out. so creamy and inviting soup !! Soup looks so tasty and thick. Great preparation. looks just like restaurant style.love it. Gud presentation. Soup is creamy and healthy. Love the butter flavour in soup. Yummy. 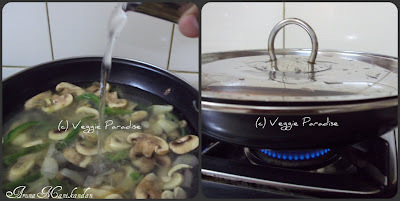 perfect appetsier..good work with step by step instructions..
Nice to come across your blog, The soup looks very tempting and the presentation makes it even more tempting. looks awesome! And less time consuming too. 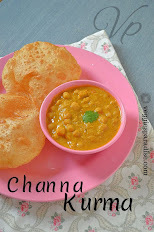 lovely to c ur blog..many varieties of dishes.this soup looks yummy. Thank you for dropping by and leaving such nice comments. And I am very glad to have u as a follower :-) Your space is so cool. Love the banner. 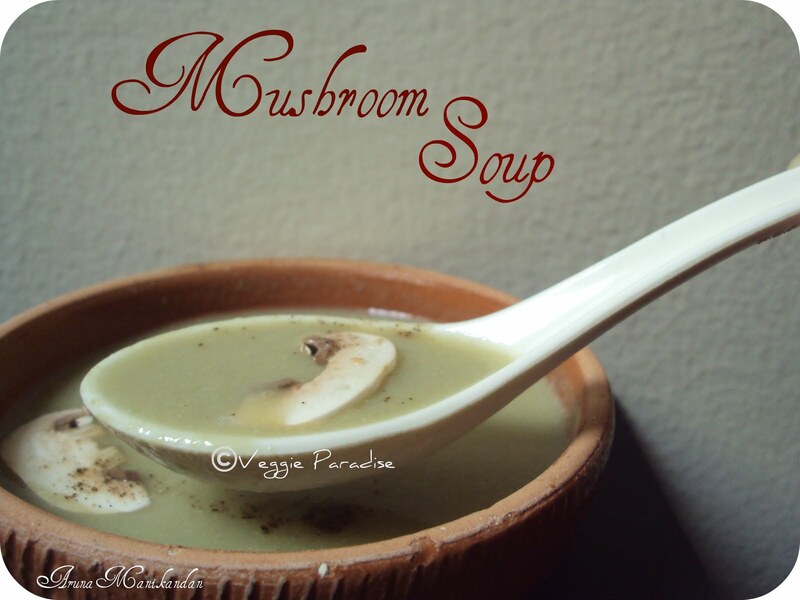 Was never fond of mushrooms, but I want to have this soup. Looks appetizing!! The soup looks so yummy...nice pictorial explanations..wonderful blog too..thanx for the comments at my space ..glad to follow u!! Mushroom and capsicum soup look so delicious.loved the pictorial. 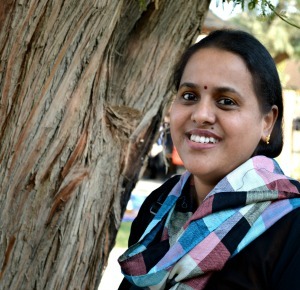 Thanks for stopping by my blog because of that I got a chance to visit your impressive blog. Plz collect FOOD MAZAA AWARD from my blog...it is for all my friends. Soup looks creamy and very yummy.